Harry was born in 1877 and gave his address at enlistment as The Bridge Inn, Rainhill. His next of kin was Stanley Goodban (brother) of Hight Street, Clapham. 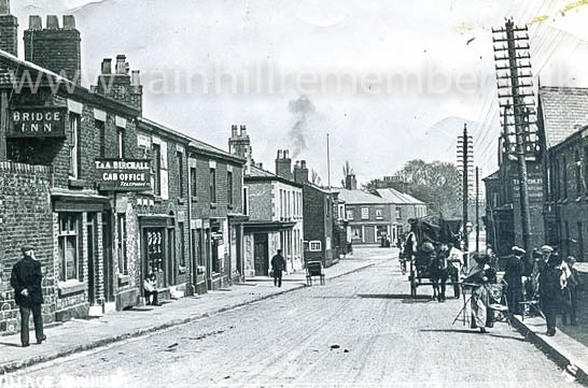 The photograph below shows Rainhill Village looking down from the Skew Bridge at the turn of the twentieth century. The Bridge Inn is the first building on the left next to Birchall's cab office. ​After attestation at Knowsley Park into the King's Liverpool Regiment, he left England for Etaples in March 1916. He was demobbed in March 1919 by which time his address was given as Newton-le-Willows.